Over a week ago, Proofpoint researchers discovered similar attack targeting PCs, but instead of infecting the target's machines, the Stegano exploit kit takes control over the local WiFi routers the infected device is connected to. Once victim installs one of these malicious apps, the Switcher malware attempts to log in to the WiFi router the victim's Android device is connected to by carrying out a brute-force attack on the router's admin web interface with a set of a predefined dictionary (list) of usernames and passwords. Once accessed web administration interface, the Switcher trojan replaces the router's primary and secondary DNS servers with IP addresses pointing to malicious DNS servers controlled by the attackers. Due to change in router's DNS settings, all the traffic gets redirected to malicious websites hosted on attackers own servers, instead of the legitimate site the victim is trying to access. Android users are required to download applications only from official Google's Play Store. 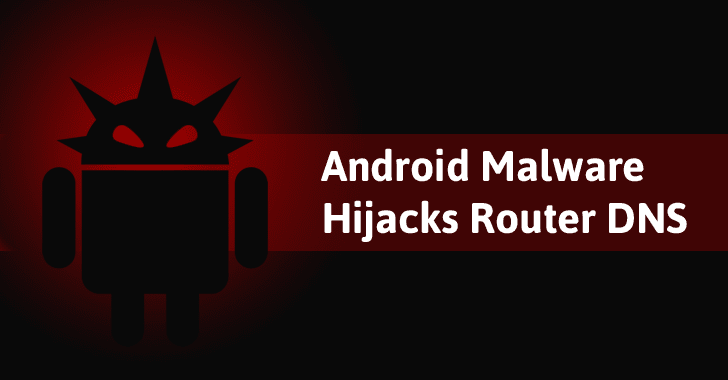 Moreover, Android users should also change their router's default login and passwords so that nasty malware like Switcher or Mirai, can not compromise their routers using a brute-force attack.